Whistler is many things to different people. 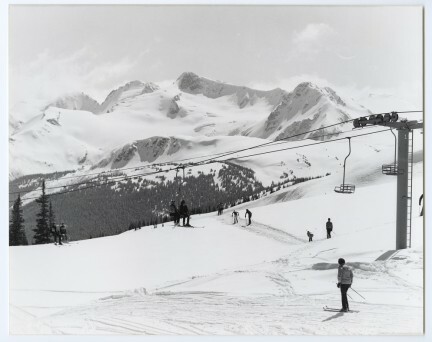 World-class ski resort town. Former Olympic venue. Party hub. Spa retreat. Fine dining haven. 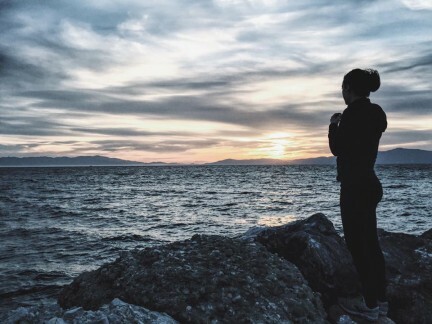 The reasons to visit are infinite, but to stay? 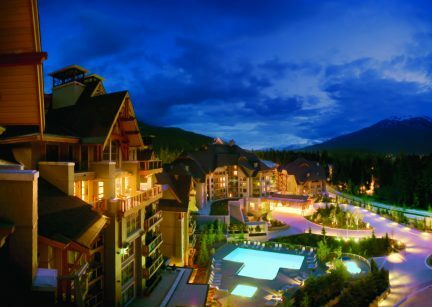 Whistler does ultra-premium very well, from the Fairmont and Four Seasons to Nita Lake Lodge. Up until recently, however, the mountain village had nothing particularly notable or design-forward to offer on the lower end. Kling created Pangea with his wife Jelena, whom he met inside a Prague youth hostel 15 years ago. 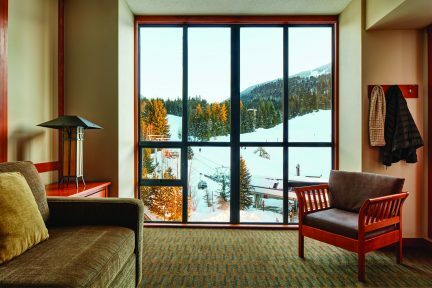 Unsurprisingly, then, the hotel was born out of a shared passion for travel. Despite their diverse backgrounds (his in finance and hers in biotechnology), the Klings left their respective career paths to embark on this five-year-long venture together. Countless hours of planning (and two children) later, their vision has morphed into something truly original. 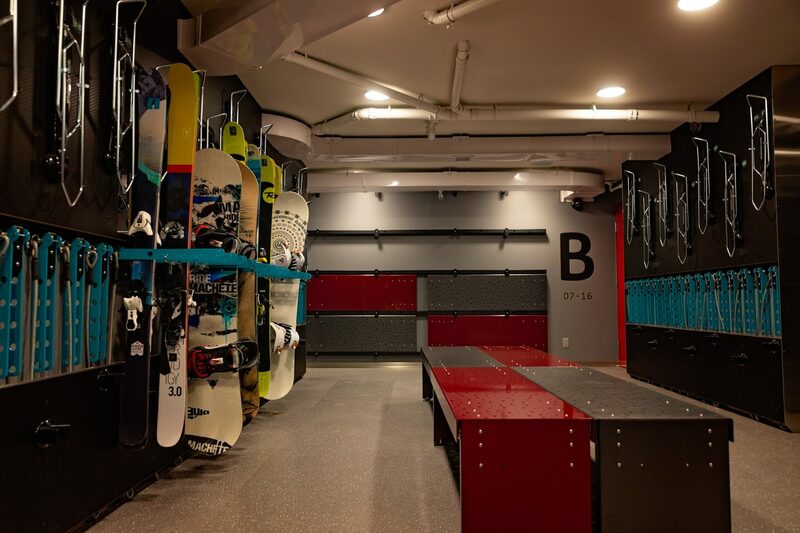 From the self-check-in reception to the Toy Box (a storage area for ski equipment and bikes) to the cozy rooftop bar overlooking the heart of Whistler Village, Pangea certainly doesn’t feel like the typical affordable digs at which a sacrifice of privacy or comfort is required. 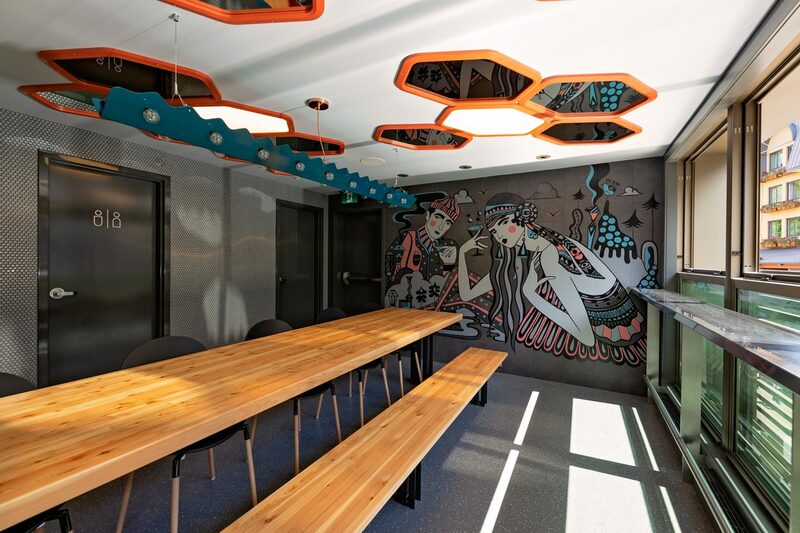 Rather, the ambience is high-end and sophisticated, a place where funky murals by Vancouver-based artist Ola Volo highlight the walls and a track along the main staircase facilitates the smooth transportation of bicycles. Conceived by Gastown’s Bricault Design, the property’s aesthetic theme plays with bright and bold shapes—even in the sleeping quarters. 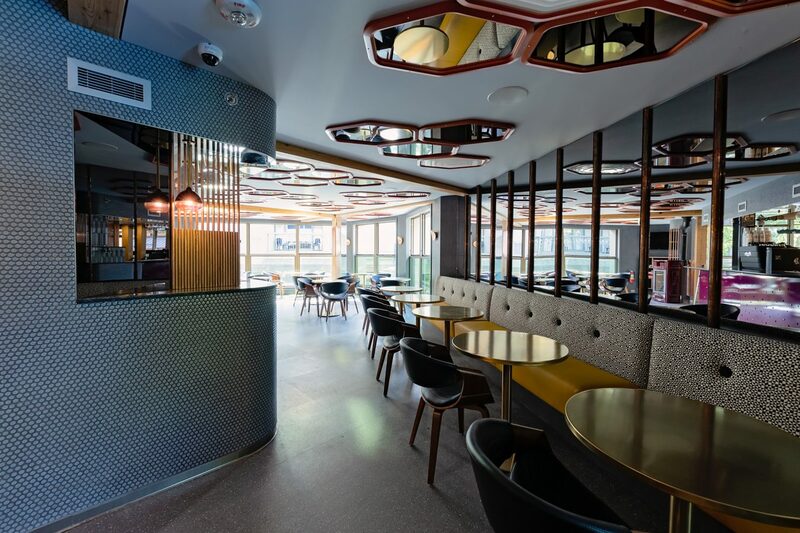 Divided into suites that are opened by wireless keycard bracelets, Pangea hosts a total of 88 pods: one person to a pod. 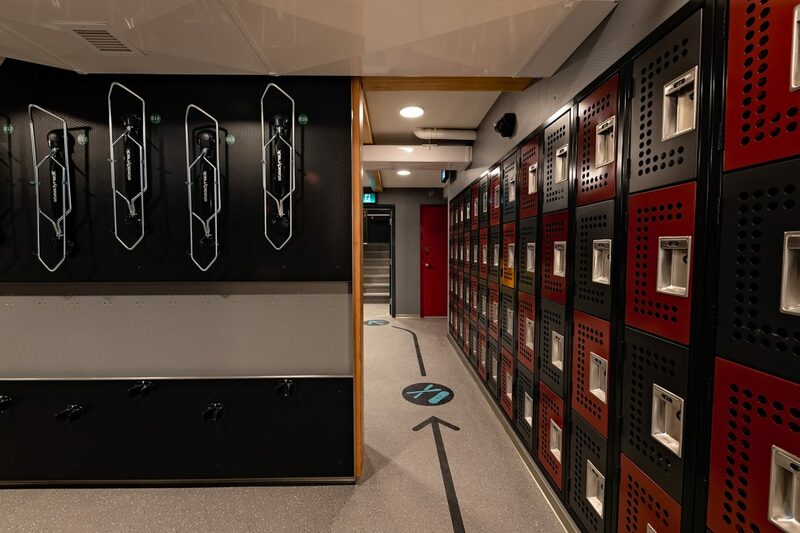 While there are four different types of accommodations available, all pods feature a double bed with an LED light, electrical outlet, lockable private cabinet, mirror, and even space to hang clothes. 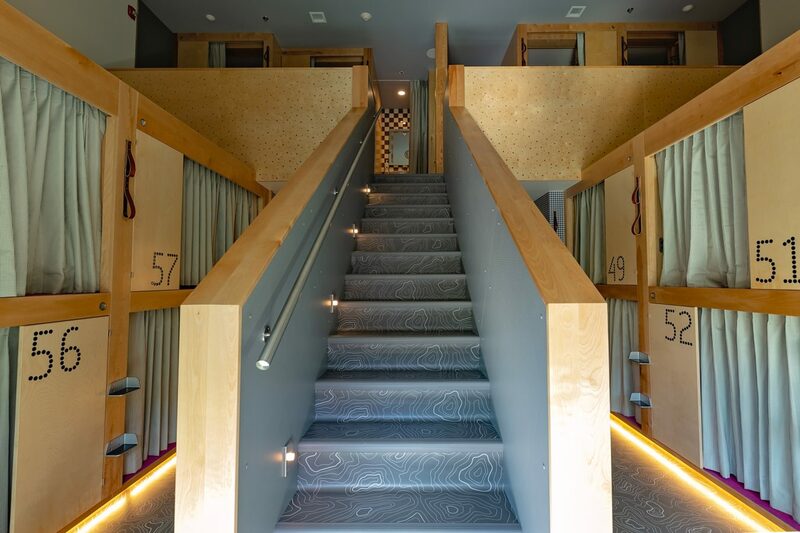 In the largest of the suites, which houses 18 pods, there are three showers, three washrooms, three changing rooms, and three outside sinks with vanities—meaning that when it’s time to get ready, wait times will be short and inconveniences minimal. Although there are no children or pets allowed, Pangea does offer a women-only suite for solo female travellers. Perhaps the most impressive aspect of Pangea is its details. 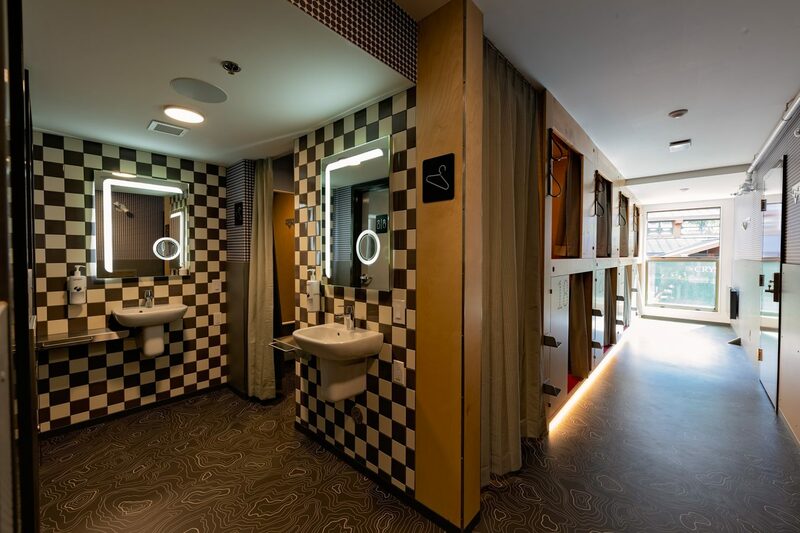 Encompassing all of the Kling couple’s accumulated experience and knowledge of travelling the world, Pangea really anticipates guests’ needs. 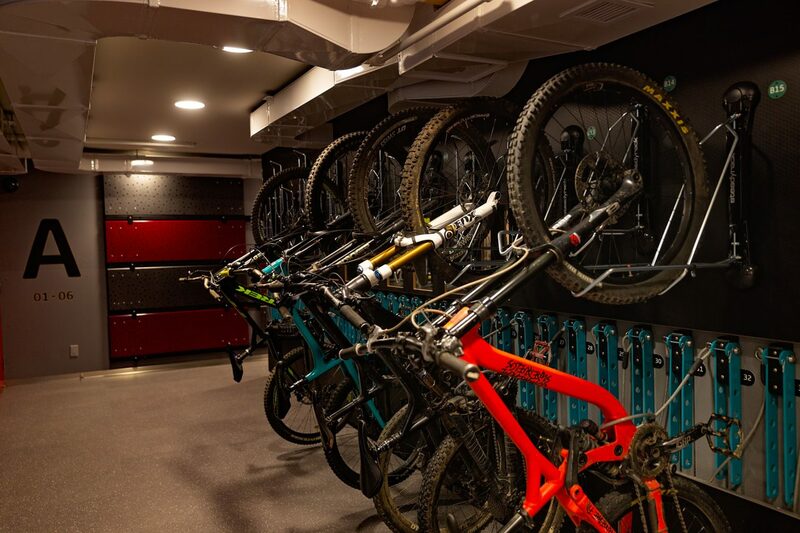 There are foot sensors that activate light in private spaces, fans to provide white noise for sleeping, and a separate staircase to exit the building with board and bike gear, ensuring that the main stairwells stay clear. Well thought out and executed, these ingredients make for an effortless and relaxing stay. 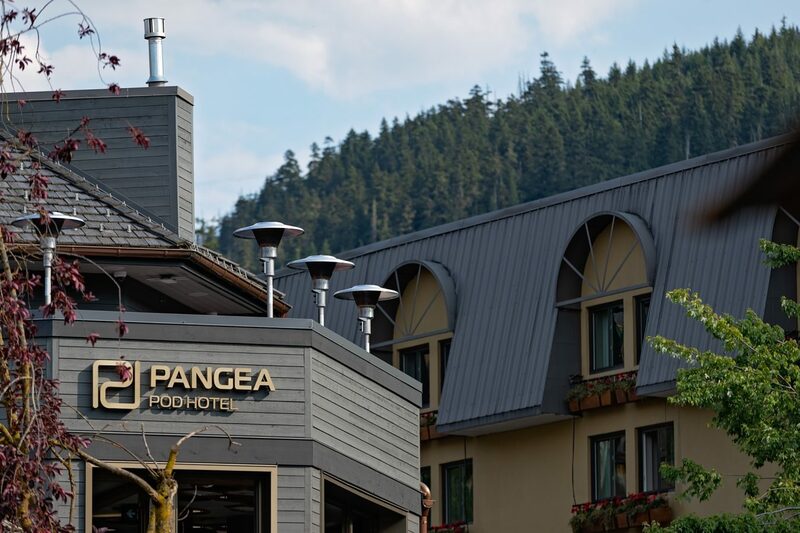 Call it a hostel, call it a boutique hotel, call it a modern explorer’s refuge—beyond definitions, Pangea adds to the excitement of being in Whistler, no matter the reason for visiting.